This is a die-cut Red Crown Gasoline porcelain sign. This particular Red Crown Gasoline sign is white with red and blue print. 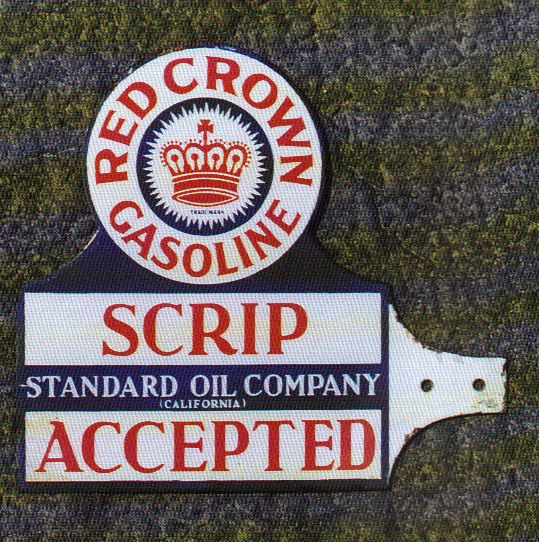 It reads, “Red Crown Gasoline, Scrip Accepted, Standard Oil Company (California)” and features a red crown at the top of the sign.